June in Buffalo is an international festival that attracts some of the most widely-renowned artists from across the world. But it is first and foremost a festival in Buffalo, and there is perhaps no ensemble more firmly and proudly Buffalo than the city's orchestra. Founded in 1935, the Buffalo Philharmonic Orchestra has been one of the city's most important cultural institutions for eighty years. The orchestra has become an integral part of June in Buffalo, concluding the festival each year with its Sunday afternoon concert of new orchestral compositions. The BPO was founded shortly before the Great Depression, during which it was supported by funds from the Works Progress Administration and Emergency Relief Bureau. Over the years, the orchestra has had some of the most significant artists of the twentieth century serve as music director, including William Steinberg, Josef Krips, Lukas Foss, Michael Tilson Thomas, Maximiano Valdez, Semyon Bychkov and Julius Rudel. Always actively recording, the orchestra has released a number of significant LPs over the years, including the world premiere recording of Shostakovich's Symphony No. 7 "Leningrad" in 1946. In 1977, under the direction of Michael Tilson Thomas, BPO recorded a successful LP titled Gershwin on Broadway. The recording made such an impact on Woody Allen, that the director used several of the LP's selections in the soundtrack to his 1979 film, Manhattan. Under the current direction of JoAnn Falletta, the orchestra has released thirty-two CDs, including a Grammy-winning recording of John Corigliano's Mr. Tambourine Man: Seven Poems of Bob Dylan (2003). When Lukas Foss took over the BPO's directorship in 1963, the composer/conductor led the orchestra in new, experimental directions. At his opening night at the baton, Foss programmed Stravinsky's Rite of Spring, a work still considered at that time to be shockingly avant garde. Foss continued his cutting-edge programming throughout his tenure, which included performances of Stockhausen's Momente, and works by John Cage. This adventurous spirit continued under the direction of Foss's successor, Michael Tilson Thomas, who premiered some important works by Morton Feldman (The Viola in My Live IV, Voices and Instruments II), and programmed Lutosławski's Concerto for Orchestra and several works by American experimental luminaries Charles Ives and Carl Ruggles. The orchestra has always had a close relationship with its city. At the 2012 Spring for Music festival at Carnegie Hall, the BPO broke the record for hometown fan attendance. From 1992-96, JiB artistic director, David Felder was the orchestra's Meet the Composer Composer-in-Residence. During these years, the Buffalo-based composer wrote a number of new orchestral works for the BPO, including Three Pieces for Orchestra, composed for the ensemble's 60th anniversary. [The first of these pieces, Linebacker Music, was composed in the midst of the early-1990s Buffalo Bills string of successes—a Buffalo composer writing a piece for a Buffalo orchestra, about the city's most beloved pastime]. The BPO has continued its devotion to new music with its annual EarShot New Music Readings, a program put on in collaboration with the American Composers Orchestra, which presents new orchestral works by emerging composers. 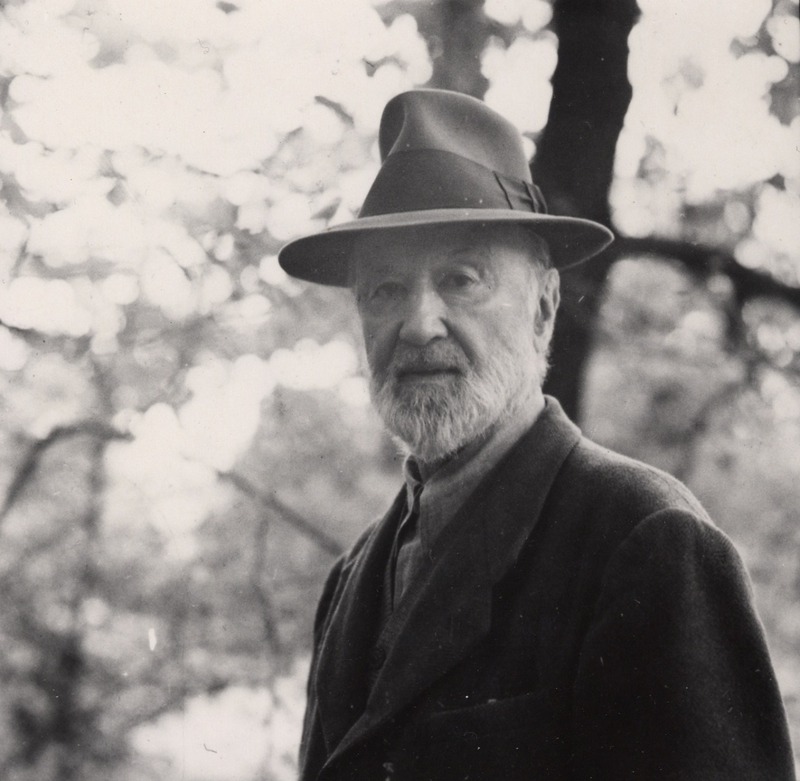 This month, the BPO will return to the work of Charles Ives as it takes part in the Charles Ives: An American Maverick festival. The week-long festival will include two Ives portrait concerts (April 11 & 12) by the BPO, at which the orchestra will present the composer's Second Symphony, The Unanswered Question, Variations on America, Henry Brandt's orchestration of "The Alcotts" (from the Concord Sonata) and John Adams's orchestration of Ives's Five Songs. The festival also includes performances by the Slee Sinfonietta (performing works by Ives, Ruggles, Nancarrow, and Harrison), Harmonia Chamber Singers, a UB masterclass with baritone William Sharp, and presentations at the Burchfield Penney and Erie Public Library. The BPO has a long history with June in Buffalo, and the festival has seen a number of significant performances by the orchestra. One memorable concert took place at JiB 1997, at which the BPO played Feldman's 'Cello and Orchestra (1972), Edgard Varèse's Octandre (1923), and Charles Wuorinen's River of Light. Notably, this program featured Jonathan Golove (of this year's Performance Institute faculty) playing Feldman's wistful 'cello concerto, and Wuorinen himself conducting his orchestral ballet. The year before that, the orchestra played a program featuring Felder's Three Pieces, Donald Erb's Solstice, and Toru Takemitsu's Requiem. The latter piece, composed forty years earlier, was performed in memory of its composer, who passed away earlier that year. This concert was echoed a decade later at JiB 2009, when the BPO reprised the program, substituting Takemitsu's piece with a related memorial work by their former director: Lukas Foss's For Tōru (1996) for flute and orchestra. Other significant performances of recent years have included a 2012 program which included Felder's dynamic Incendio, Fred Lerhdahl's Cross-Currents, Steven Stucky's Jeu de Timbres, and Robert Beaser's Guitar Concerto, which featured a moving performance by world-renowned guitarist Eliot Fisk. We're thrilled that the BPO will continue its tradition of enriching Buffalo with exciting orchestral performances at this year's festival, under the baton of associate conductor Stefan Sanders. We can look forward to them wrapping up June in Buffalo with a program featuring the music of the festival's artistic directors past and present: opening with Morton Feldman's On Time and the Instrumental Factor (1969), and concluding with David Felder's Six Poems from Neruda's "Alturas" (also composed during his BPO residency). It's sure to be an exciting concert that will conclude a fantastic week of new music from around the world, performed in Buffalo. *Quoted in Renée Levine Packer, This Life of Sounds: Evenings for New Music in Buffalo (Oxford University Press, 2010), 143. Music critic Michael Steinberg famously observed that the music of Charles Wuorinen manages something which perhaps seemed impossible throughout much of the early twentieth century: a musical reconciliation of the Schoenbergian and Stravinskian compositional traditions. Indeed, in Wuorinen one can hear both the muscular physicality and quick wit of Stravinsky and the structural rigor and systematic consistency of late Schoenberg, both traditions connected and extended into a dynamic new compositional language. The first word that occurs to me when I think of Wuorinen's music is craft. Having composed over 260 works, Wuorinen's output is one based in a meticulous study of past styles, and written with painstaking exactitude. Works like the third Piano Sonata, Archæopteryx, and Epithalamium require a certain diligent focus and calculated intentionality on the part of the performer, but on hearing such works it's difficult not to hear the same diligence on the composer's part. Wuorinen is famously a composer who wakes each morning and composes for most of the day, and this devotion to craft is clearly audible in his work. Take for instance, his recent Trio for flute, bass clarinet, and piano (2008), in which snaky, angular lines create tense, constantly transforming contrapuntal webs, which occasionally erupt into sonorous bursts of energy. The piece virtuosically weaves a narrative through which the ensemble acts both as a trio of independent agents and as a unified body moving together with the agility of a school of fish (listen below). It is perhaps this devotion to craft that inspired Vera Stravinsky to entrust some of her late husband's unfinished compositional fragments to Wuorinen, which the composer used to construct A Reliquary for Igor Stravinsky (1975), a work which contains both a simulacrum of Stravinsky's late style and a clear expression of Wuorinen's own voice. Indeed, Wuorinen's voice, both through his singular musical output and his lectures and writings, has been one of the most passionate and eloquent advocates for American serialism, most notably in his 1979 compositional treatise, Simple Composition. After receiving acclaim for a number of early works (including his chamber concertos for 'cello and flute), Wuorinen was appointed to a teaching post at Columbia University in 1964. There, he worked with the now-legendary RCA Mark II Synthesizer at the Columbia-Princeton Electronic Music Center. Despite being a ground-breaking piece of equipment which is frequently mentioned in histories of electronic music, the Mark II was used in the creation of only a small handful of pieces, one of which was Wuorinen's Time's Encomium, a thirty-minute electronic tour de force which won the composer the 1970 Pulitizer Prize, making Wuorinen the youngest composer at the time to be awarded the honor. Since then, Wuorinen has received numerous awards and fellowships, including a MacArthur Foundation Fellowship, Guggenheim Fellowship, and an induction into the American Academy of Arts and Letters. One of Wuorinen's significant early achievements was the founding of the Group for Contemporary Music in 1962 with Harvey Sollberger (another JiB faculty composer) and Joel Krosnick. The first new music ensemble to be based at a university and directed by composers, the GCM quickly received acclaim for its virtuosic performances (including Wuorinen's own skilled piano playing and conducting) and innovative programming (the ensemble premiered significant works by Wolpe, Babbitt, Carter, and Davidovsky). The GCM's success inspired the Rockefeller Foundation to fund several similar composer-led ensembles at other universities, including UB's Center for the Creative Associates, an ensemble which regularly included Wuorinen's work in their programming. The June in Buffalo festival was established in 1975 partly as a way for the Creative Associates to take advantage of Rockefeller funding during the slower summer months, branching out from an innovative ensemble to a widely respected international festival. 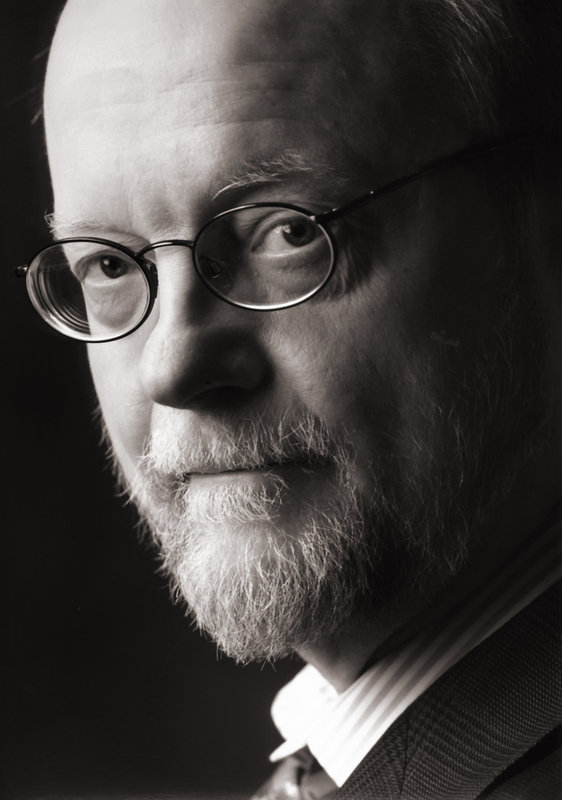 We are thrilled that Charles Wuorinen will be joining the June in Buffalo faculty during this anniversary year. Wuorinen's connection to the festival stretches back many years, and he has been a frequent member of the June in Buffalo faculty. When David Felder restarted the festival in 1986, Wuorinen was one of a core group of composers who quickly lent their support, and contributed to the festival's revitalization. At June in Buffalo 2013, Wuorinen was presented with an honorary doctorate by UB, at a brief ceremony preceding a concert that featured a performance of the composer's It Happens Like This by the Slee Sinfonietta. June in Buffalo has been the site of many exciting performances of Wuorinen's work, including a memorable performance of The Dante Trilogy at June in Buffalo 2003. This year, we can look forward to the New York New Music Ensemble's performance of New York Notes (1982), and the Meridian Arts Ensemble's performance of Wuorinen's Brass Quintet (read more about the former in last week's interview with Jean Kopperud). One of Wuorinen's most ambitious projects in recent years has been the 2012 opera, Brokeback Mountain, based on the same Annie Proulx short story that inspired the 2005 film. The opera, composed for Madrid's Teatro Real, concerns itself with a star-crossed love affair, but unlike traditional operatic subjects, the focus on gay love in an hostile environment (both social and physical—the opera is set in the wild Wyoming mountains) creates a subject matter which, in the composer's words, "has some resonance today, unlike the old-fashioned operatic issues, which are of no interest whatever, in the social context today" (click here to see the composer discuss the opera in detail). Centered essentially around what Zachary Woolfe calls "a tragedy about the inability to communicate", the opera moves gradually from Schoenbergian sprecstimme to traditional operatic singing, exploring the difficulty of emotional expression. It seems oddly fitting that an opera about the inability to communicate should be written by a composer with such a strong and fluent compositional voice. Indeed, it necessitates such a composer, who through years devoted to his craft can eloquently express anything, including the very trials of expression itself. Next year, the New York New Music Ensemble celebrates its 40th year making music. Having commissioned, performed, and recorded works by some of the most important composers of our time, the group has been active, as JT Rinker puts it, "since 'new music' was new." Indeed, some of the ensemble's 120 commissions have become key works in the canon of American composition, including Jacob Druckman's Come Round (1992), Harvey Sollberger's The Advancing Moment (1993), and Charles Wuorinen's The Great Procession (1996). The ensemble has worked closely with many important artists, including Milton Babbitt, John Cage, Donald Martino, Stephen Dembski, Chou Wen-Chung, Arthur Kreiger, and Edmund Campion. In fact, it is through the tireless work of NYNME that many important works and composers have become widely recognized. 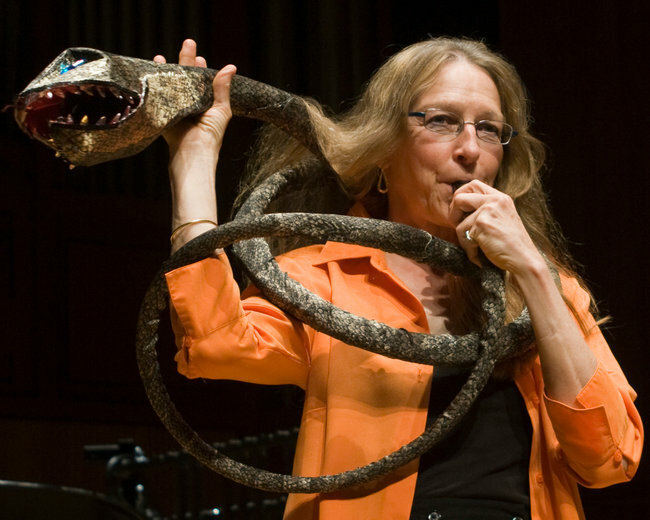 The ensemble, once described as "tense, vicious, and aggressive," has branched out from a core catalog of intellectually rigorous pieces by the American avant garde to a diverse palette that include interactive technologies, theatre music, and important works by composers from around the world. Just this month, the ensemble played a Kaija Saariaho portrait concert that featured several works for instruments and electronics. NYNME's relationship with June in Buffalo extends back many years. The ensemble has been regularly attending the festival since the early 1990s, and has contributed to it's reputation of featuring stellar performances by expert musicians. Having played and premiered countless works at JiB, and maintaining close relationships with many composers who have been active at the festival, we are excited that they will be joining us during this anniversary year. This June, NYNME will present a concert of works featuring Wuorinen's New York Notes (1982), Sollberger's The Advancing Moment, Martin Bresnick's Bird as Prophet (2003), and Lukas Foss's classic Echoi (1963). Foss, the former co-director of the Center for Creative and Performing Arts at UB (whose Evenings for New Music concerts laid the groundwork for what eventually became June in Buffalo) will be the subject of a portrait CD that NYNME will begin recording this summer. I had a chance to sit down with Jean Kopperud, clarinetist with NYNME and a member of this year's Performance Institute faculty, to ask her about this year's festival. What are you looking forward to about June in Buffalo 2015? I love June in Buffalo. I love it when NYNME comes up here to my home. We've known David Felder a long time, he brought us here years ago. It's a great festival, and it's the nicest part of the year in Buffalo! We're playing great pieces by Sollberger, Wuorinen, Bresnick, and Foss. Echoi is an incredible piece—a masterpiece. So it will be a lot of fun. You're also playing New York Notes, which was a NYNME commission. That's a piece you've played several times at the festival. Do you have any special memories relating to this work? Actually I do. There was one year when James Baker was conducting, and we walked into the dress rehearsal and just laid the piece down like it was a recording. Almost never in my life have I felt in a dress rehearsal like we as a group were stunning, but on this run we caught on fire. I mean, Charles' jaw dropped. It was just a dress rehearsal, but it was one of those moments that really defined who we are as a group. You have a long relationship with Charles Wuorinen, he's composed several works for you, and has conducted NYNME on occasion. And there are several other composers with whom you have longstanding relationships. It's one thing to commission a single work from a composer, but what's it like having a continuing relationship over many years? Well, it only continues if everyone is happy on both sides, and Charles has written us amazing pieces, works that will stand the test of time. His music comes beautifully scored and it feels like it's been written for us. If you can find someone who does that, that's special. I've done a lot of commissions and I find that there's this huge range. Sometimes someone writes a piece and it's clearly not for you, they weren't thinking about you or your strengths. And then you get some other composer and it's so tailored to you, you think "they got it!" That's one of the risks of commissioning, you don't know if it's going to be good, or if it's going to work, or how playable it's going to be. But with some composers you know more. If you have two or three great pieces from a composer, like we do with Charles, there's something there. But you also work with younger, less established composers. We do commission younger composers we don't know, people whose music we've just heard and liked. That's what's great about June in Buffalo, it's always fun to play the young composers' music. But a lot of times that's how we decide who to commission when we pick a 'young stranger'—we've done one of these things like June in Buffalo and we've liked their music and said, "Let's get them while they're young." You'll be on the Performance Institute faculty, and you're known for your unique way of working with musicians, especially in your On The Edge class that you teach at UB. Can you describe your approach to working with young performers? The thing about On The Edge is I work on everything but the music. I don't do any musical coaching, that's the job of the teacher or the chamber music coach. What I end up working on is all the other stuff: how they prepare, focus, warm up, their mental attitude. Basically, I look at a student and ask: what's standing between them and being 100%? So each person in the class is working on something quite different. With some people it's about inner self talk, with some its about balance and the physical usage of their body. For a lot of people, it's about performance anxiety, though that's typically a small part of it. I can usually take care of performance anxiety pretty quickly. It's usually other stuff in the end. The hardest fixes are people who haven't learned how to focus, that usually takes longer. Learning an intense focus is a bigger job, and many musicians don't even realize that they aren't present when they perform. What's a skill that you teach that can improve focus? I teach juggling to all my students. Because it's not thought-oriented—it's just hand-eye coordination—it smooths out your brain waves. In order to actually focus, your brain can't be jagged. I juggle before every concert. If I have no warm-up time, that would be the one thing I would do. It's even more important than warming up the instrument. In order to juggle you have to pay attention, otherwise you drop the balls, so it's a very clear indicator: when you drop the balls something is amiss. So I will just juggle until I feel a sense of calm come over me. It's easier than meditating. It also warms up the hands, and it works for writing blocks—and it's a diagnostic for whether I'm ready or not. Jean Kopperud and NYNME both will be huge assets to June in Buffalo this year. Whether it's Kopperud teaching balance, focus, and juggling at the Performance Institute, or NYNME's impeccable balance, focus, and juggling of complex counterpoint in performance, it's sure to be an exciting week of new music. A recent orchestral piece by Brian Ferneyhough bears the German title, "Plötzlichkeit," a term which can be roughly translated as "suddenness." In the piece, radically disjunct gestures emerge from all corners of the orchestra, both disparate solo lines and dynamic tuttis, each successive gesture obliterating the last. The term plötzlichkeit seems to be not only a fitting description of the unrestrained energy of this piece, but of much of the composer's oeuvre. Ferneyhough's music, (in)famous for its density, complexity, and the demands it puts on its performers, seems to exist in a perpetual state of plötzlichkeit—that is, in a perpetual state of lacking a perpetual state, of being constantly interrupted, manipulated, suspended, or superseded. The intricacy of pieces like Superscriptio, Lemma-Icon-Epigram, and Etudes Transcendantales places the performers (and, indeed, the audience) in a situation in which the demands of each gesture leave them, in the composer's words, "in a constant state of 'surprise attack', as the horizon of memory closes around them." Without the ability to rely on their memories, performer and audience are trapped in an eternal present, or rather, in an endless succession of divergent presents, a state of intense plötzlichkeit. The preface to Ferneyhough's early flute solo, Cassandra's Dream Song elaborates on this tension between notated complexity and the difficulty of execution: "A valid realization will only result from a rigorous attempt to reproduce as many of the textural details as possible: such divergencies and 'impurities' as then follow from the natural limitations of the instrument itself may be taken to be the intentions of the composer." In later pieces, as noted by Paul Griffiths, such "divergencies and impurities" are as much a result of the performer's constant state of 'suddenness' as they are of the instrument's own limitations. Ferneyhough is therefore not a composer of "complex" notational gestures, but rather a composer of dynamic energies and states of being. In fact, his music calls into question the very ontology of classical music: his pieces do not exist on the written page, nor in the frantic animation of its realization but in, as he puts it, "that realm of non-equivalence separating the two." We are thrilled that Ferneyhough will be joining the composition faculty at this year's June in Buffalo, and we're looking forward to hearing his works performed by some of the most skilled players in the field. Among the composer's pieces which will be heard at this year's festival are the densely polyphonic Bone Alphabet (1992) for solo percussion (to be played by SIGNAL Ensemble's Bill Solomon) and the virtuosic violin solo, Unsichtbare Farben, which will be performed by its dedicatee, Irvine Arditti. As a frequent guest to the festival (he was on the faculty at JiB 2005 & 2013), Ferneyhough's pieces have been consistent showstoppers, his lectures and masterclasses reliable sources of profound insight and instruction. I can remember sitting in on a composer masterclass at JiB 2013 that I found particularly illuminating. A young composer presented a compelling work in which, after several minutes of well-crafted, conventionally-notated music, the score was interrupted by a brief, graphically-notated measure bearing the instruction: "with uncontained insanity." Ferneyhough astutely noted that this brief interruption undermined its own intent. He stated that leaving "insanity" up to what was essentially performer improvisation would lead to a restrained kind of insanity (which is in fact, the definition of sanity), and that limiting "uncontained insanity" to a single measure was, in fact, to contain it. He suggested instead that this section be composed out (denying the performer the chance to improvise insanity) and extended (so as to keep it uncontained). Underlying this observation was a shrewd insight: crazy people don't know they are crazy, they instead grapple with their perceived reality with agitated fervor and intensity. If one is to expect "insanity" from a performer, it is perhaps best to place them in a performative situation that would test their very sanity, rather than asking them to approximate it of their own accord. This seemed not only a valid suggestion for improving this already-strong student work, but indeed, a key aspect of Ferneyhough's own approach. He was prescribing a rationally-composed irrationality, an architecturally structured absurdity. He was prescribing plötzlichkeit. There is, of course, far more to the composer's work than simple performer crazy-making. Perhaps the greatest strength of Ferneyhough's music is the way it recaptures and re-imagines expression itself. While much Post-War music used complexity and systemization as ways to bypass expression, Ferneyhough uses these same devices in its service. For him, "texture and structure are the two vehicles of expressive form", and works like Bone Alphabet and Unsichtbare Farben demonstrate this in spades. While some would criticize his music for its density and complexity, no one could say that it is cold or mechanistic. Instead, it is brimming with life, a dynamic dance of diverse energies. Ferneyhough's music is an enactment of a psychic drama: the id of unrestrained insanity kept in check by the expressive energy of structure's super-ego, both working simultaneously in opposition and in concert toward the construction of an art that is at once a finely crafted artifact an ever-changing sonic conflict. It is a music of crystalline design, marred by a multitude of "divergencies and impurities", and continuously engaged in the suddenness of the present.